Protec IPS Padded Ski Snowboard Impact Shorts Mens Size L . Condition is Used. But in very good condition. Dispatched with Royal Mail 2nd Class signed for. 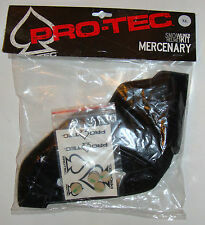 Pro-Tec are known for their quality protection products. Available in Black only. Padded For Comfort. Double Splint. Girls Ski Helmet Designer Small. A great helmet that serves our daughter well last year. Cloth outer designer pattern. Box has some signs of wear. Helmet is in good condition - a couple of very small marks on helmet. Liner in great condition. Grab a bargain for this season. 9/10 – Excellent / Great condition, few if any very minor signs of usage. Ace Freecarve -. After all, you want to be able to use your head when you get back from your snowboarding trip, don't you ! VENTILATION - front slide vent system with rear exhaust vents. EAR PADS - upgraded soft cupping detachable ear pads. Another exclusive technology to PRO-TEC the Bernoulli Venting System works as you ride. Colour: Matte White. EAR PADS - detachable DRi-LEX ear pads and drop liner. Large / 57cm - 58cm. After all, you want to be able to use your head when you get back from your snowboarding trip, don't you ! Great for all action sport not just snowboarding. Impact shorts also keep your bum warm when sitting in the snow! 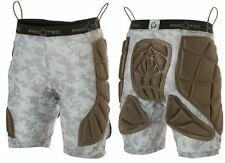 Padded Hip Pads /Snowboarding Shorts. Elastic waist band. Size:Wms X-Large 31 - 32". Aggressive styling and multi-impact toughness help you take your riding to the next level. We will send this to you as soon as we can. EAR PADS - upgraded soft cupping detachable ear pads. Small / 53cm - 54cm. Ride in style with the protection you need, on snow or off. Everyone loves an original. Size Small / 53cm - 54cm. Colour: Matte Black. - Classic Snow - Audio Force -. We will send this to you as soon as we can. 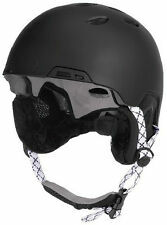 Protec Vigilante Snowboard Ski Helmet Black XL 59cm- 60cm With Boa Fit System. Pro-tec Kids Girls Ski Helmet Pink. Condition is Used. Dispatched with Royal Mail 2nd Class. PROTEST GEOTEC SNOWBOARD/SKIING/SNOWBOARDING HOODED/COAT Age5/6 116cm Toddler Used but only once it's a beautiful coat/jacket in EXCELLENT CONDITION NEARLY NEW. PROTEC / PRO-TEC. After all, you want to be able to use your head when you get back from your snowboarding trip, don't you ! Another exclusive technology to PRO-TEC the Bernoulli Venting System works as you ride. X-Large / 59cm - 60cm. After all, you want to be able to use your head when you get back from your snowboarding trip, don't you ! - B2 Snow -. Colour: White. ASTM & CE certified with multiple impact protection. Size: X-Large / 59cm - 60cm. See for yourself what truly custom fit feels like. BOA FIT SYSTEM - Provides a more custom fit for different head shapes. We will send this to you as soon as we can. After all, you want to be able to use your head when you get back from your snowboarding trip, don't you ! Boarding For Breast Cancer (B4BC) is a non-profit, youth focused education, awareness, and fundraising foundation. Their mission is to increase awareness about breast cancer, the importance of early detection, and the value of an active lifestyle. Aggressive styling and multi-impact toughness help you take your riding to the next level. Small / 53cm - 54cm. EAR PADS - upgraded soft cupping detachable ear pads. VENTILATION - 7 vent passive ventilation system. Snowboard / Skateboard / Bike. Ride in style with the protection you need, on snow or off. Everyone loves an original. Colour: White. After all, you want to be able to use your head when you get back from your snowboarding trip, don't you ! PROTEC / PRO TEC. After all, you want to be able to use your head when you get back from your snowboarding trip, don't you ! Another exclusive technology to PRO-TEC the Bernoulli Venting System works as you ride. 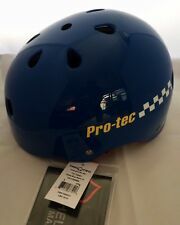 PROTEC Ace Full Face Snowboard Helmet Silver Med / Sm ?